Our Texas Waters: Polluted, Toxic, and Unprotected? 75% of Texas streams could remain vulnerable to pollution due to House Bill 5078 passed by the House of Representatives on September 9th. HB 5078 would prohibit the Environmental Protection Agency from applying the protections of the Clean Water Act to more than half the nation’s rivers and streams. This includes 143,000 miles of Texan streams that flow into vital waterways such as the Edwards Aquifer, the Trinity River, Caddo Lake, Galveston Bay, and the Rio Grande. Texas waters are already considered the 2nd most polluted in the nation, according to a report by the Environment Texas Research and Policy Center. Data from 2012 showed the Lower Brazos River watershed as ranking first for the highest amount of toxicity released with 33,475,464 toxicity-weighted pounds. 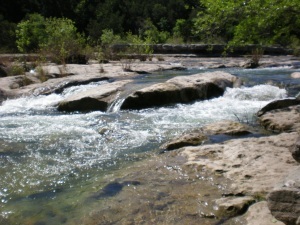 Over 80,000 pounds of carcinogenic chemicals were discharged into Texan waterways. These chemicals persist in the environment and have the potential to cause birth defects, infertility, cancers, and developmental problems in children.